Powered by technology, squads of Argo Group employees are collaborating to help transform the insurance industry for the 21st century. In Argo Digital, these employees are encouraged to embrace a startup culture to develop technology affording new ways to assess and transfer risk. “Technology is powerful and has the ability to change millions of people’s lives,” said Andy Breen, senior vice president of digital. 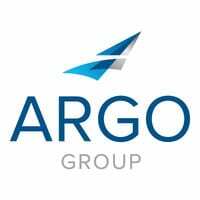 Breen said the Argo Digital teams are organized in small squads of five plus or minus two employees that include product owners, engineers, designers, data scientists and other skills needed to get the job done. The squads hunker down together, empowered by autonomy and trust, and iterate testing hypotheses.